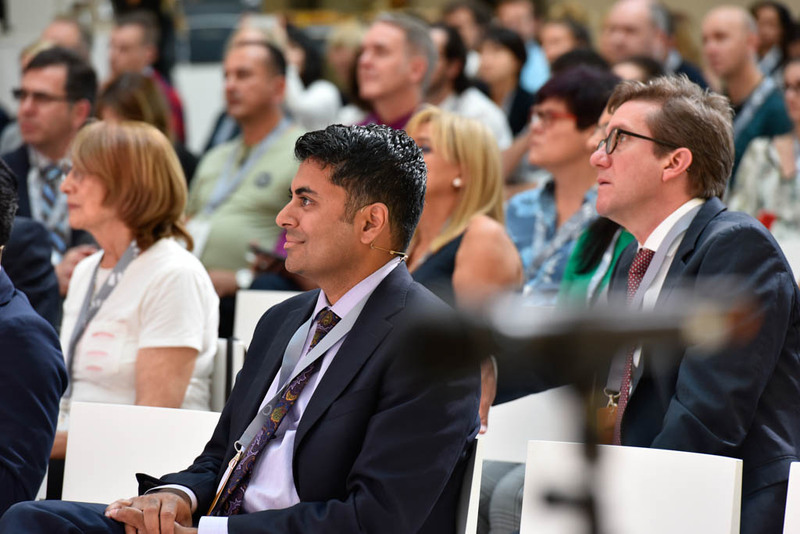 The Novalis Circle was pleased to welcome a record breaking number of attendees to the 8th International Conference, taking place at the Brainlab headquarters in Munich, Germany. 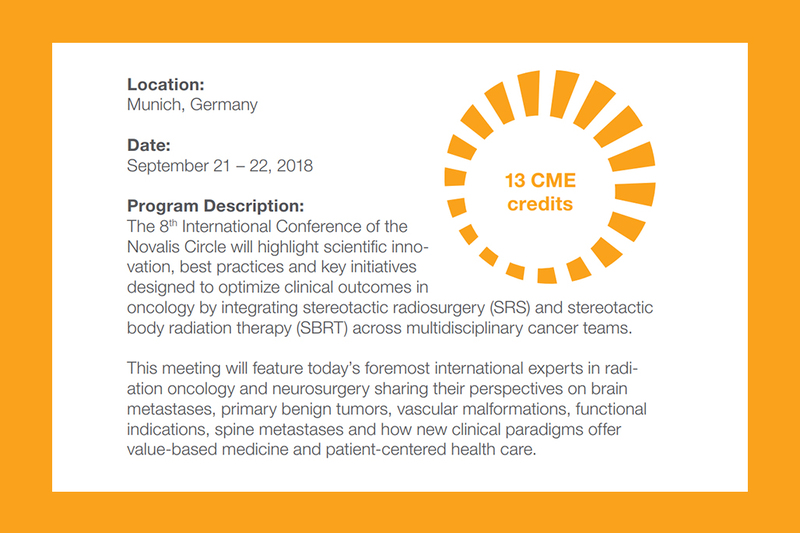 Over two days, international experts in neurosurgery, radiation oncology and medical physics gathered to share key initiatives to optimize clinical outcomes and increase the adaptation and effectiveness of stereotactic radiosurgery programs through captivating presentations, engaging panel discussions and thought-provoking clinical research posters. 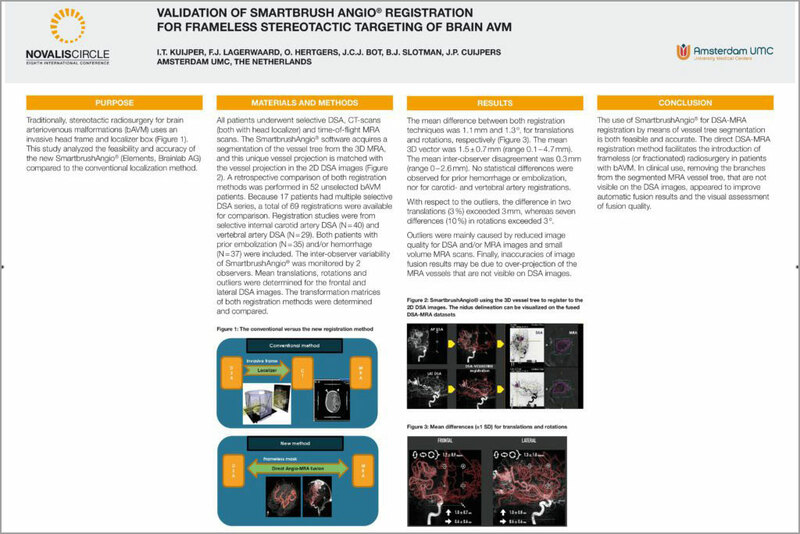 Explore 42 presentations from world renowned experts in radiation oncology and neurosurgery, who shared their latest scientific insights in SRS and SBRT. 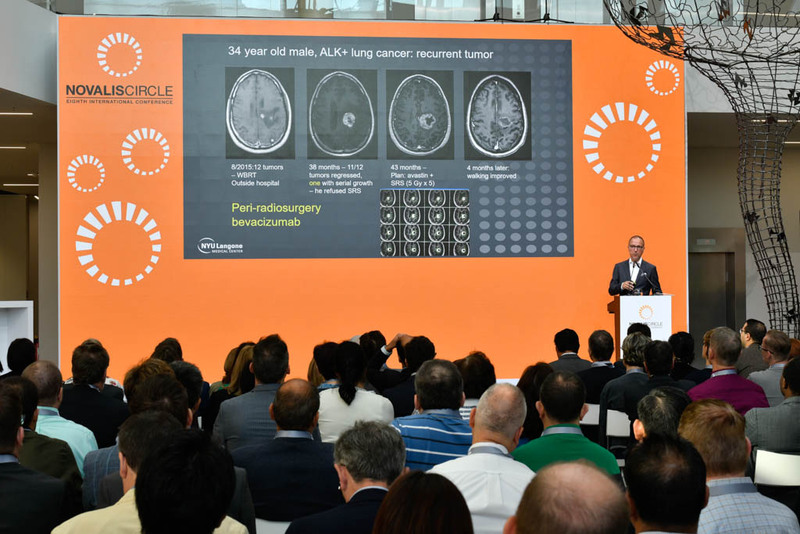 The conference agenda highlighted scientific innovations, best practices and key initiatives designed to optimize clinical outcomes in advanced radiosurgery treatments. Experience the conference by exploring our photo gallery from the many unique events at the 8th International Conference of the Novalis Circle. Novalis Circle hosted the first ever parallel poster session, focused on the five areas highlighted during the event. Watch the video below for more impressions of the 8th International Conference of the Novalis Circle in Munich.